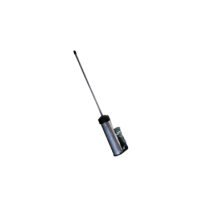 433 MHz RFID Antennas | GAO RFID Inc.
Our large selection of 433 MHz RFID Antennas provide you with a choice on how you want to configure your reading environment. Whether it is deploying directional or omni-directional RFID antennas, our 433 MHz antennas help you to adjust and maximize gain to obtain the highest in read rate success. GAO RFID provides a wide collection UHF 433 MHz RFID Antennas with key features designed to ensure high performance and help to adjust and maximize gain to obtain long range, read rate success. These types of antennas are available in UHF 433MHz frequency and can have either directional or omnidirectional deployment. 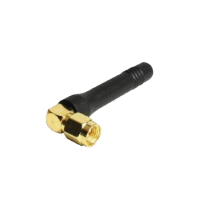 Furthermore, the UHF 433MHz antennas provide several connector type options that include N Female connector which works with most access points or wireless routers, Male BNC, 50 ohm SMA Male and RP TNC which requires accessory cable to connect to the reader. Additionally, the antennas have different options of gain at the connector that includes 3 dBi, 3.5 dBi, 4.9 dBi, 6dBi and 7.1 dBi. Another key feature for this type of device is that the effective resistance to alternating current, arising from the combined effects of ohmic resistance and reactance, also known as impedance, is 50Ω. GAO RFID provides UHF 433 MHz RFID antennas in different form factors and materials. The antennas have indoor and outdoor applications, and for this reason, they are waterproof and are built using resistant materials such as aluminum, ABS lid, and polypropylene. Also, the antennas come in convenient colors such as white, black, and gray to fit into the décor of any environment. Most of them have lightweight, small volume, and convenient installation. 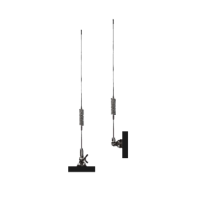 The UHF 433 MHz antennas are designed to perform exceptionally in all environments, indoors and out. These kind of antennas are intended to be used in conjunction with readers to enhance performance in any application, so data capture is fast and accurate, even in high-demand environments. These antennas can be used in many different applications in several industries such as manufacturing, field mobility and warehouse management. They can also be used at any point in the business and across any segment of the organization in order to optimize the functioning of the devices that they intend to support. With our large selection of 433 MHz Antennas, you are sure to find the most effective antenna to optimize your system. If you require any assistance, our Experts are standing by to help you with your selection process. 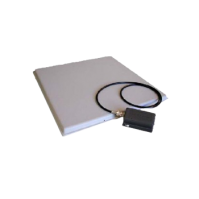 This Compact Stealth RFID Antenna uses the 433 MHz frequency, is waterproof and has a small footprint. It is suitable for applications where a subtle installation is required. 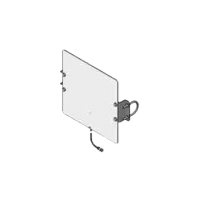 This 433 MHz Directional Antenna has a 7.1 dBi gain and is made from durable aluminum for long-lasting performance. 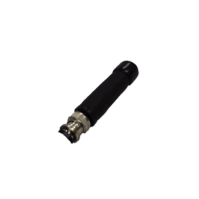 This 433 MHz Flat “Puck” Omni-Directional Antenna is a powerful antenna designed for harsh environments with a waterproof, flat, and discreet form factor. These 433 MHz Half-wave Magnetic Base Antennas are remote omni-directional antennas are waterproof with magnetic base. 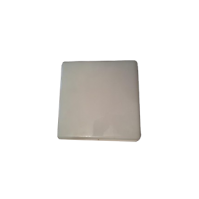 This 433 MHz Omni-directional 1/4 Wave RFID Antenna is made of flexible polypropylene material. 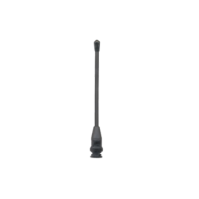 This 433 MHz antenna is omni-directional and waterproof: designed with outdoor applications in mind. 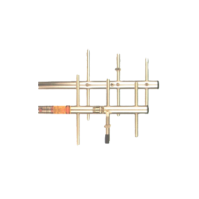 This 433 MHz Panel Antenna is light weight, yet provides high gain and is designed for intelligent management systems. 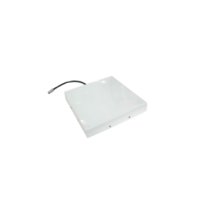 This 433 MHz RFID Antenna is designed with LHCP or RHCP Polarization, and is suitable for most indoor environment applications. The L-AN350 patch antenna is typically used for its unique directional properties. Its reception field is of a hemispheric nature. 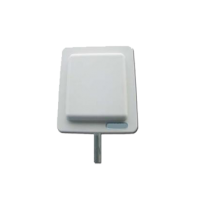 This 433 MHz Slender Semi-directional RFID Antenna is designed for outdoor use, is semi-directional, with an ABS anti-UV cabinet that is made to withstand the elements. 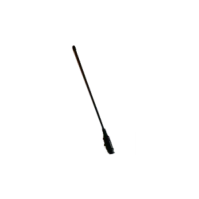 This Ultra Flat Linear Omni-directional Antenna uses the 433 MHz frequency and is designed for mounting onto windshields. 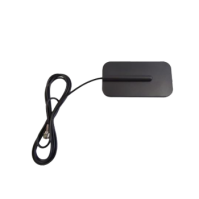 The Wavetrend Outdoor wall mount whip antenna has a 3 dBi gain and operates at 433 MHz. 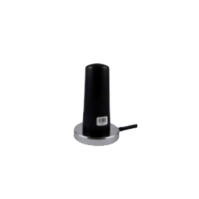 The 433 MHz 1/4 wave antenna is a parity gain linearly polarized right angle SMA antenna and is ideally suited to use with the Active RFID Solo Reader. The L-AN200 433 MHz Wavetrend stub antenna has been designed for optimal RF receiving performance with the Wavetrend reader range. 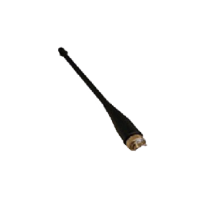 This 433 MHz wave whip antenna is a high gain linearly polarized antenna ideal for applications where long range reads are required. 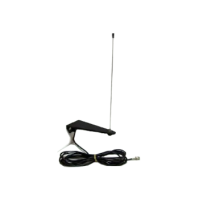 This 433 MHz whip antenna has been designed for optimal RF receiving performance with the Wavetrend reader range and is housed in a waterproof mould for outdoor use. 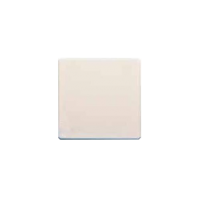 This active RFID circularly polarized patch antenna is ideal for reading tag signals in high density and random orientation scenarios. 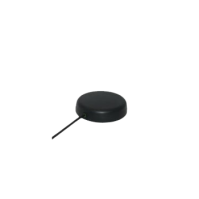 With a compact design and robust construction, this circular 433 MHz RFID antenna is resistant to typical environmental influences.